The ballroom of the SLS Hotel in Beverly Hills was filled with poker players, industry executives and media people last February 25, 2016 for the glamorous evening of the 2nd Annual American Poker Awards. There were lot of poker-related activities that also happened earlier that day. In the morning there was the American Poker Conference, which comprised four panels in total. The conference was followed by a discussion on the topic of eSports. Following that was a talk about the role and involvement of women in poker. There were also talks concerning the future of poker media based on player self-marketing strategies, and the impact that player initiatives can have on the poker industry and its growth. In the afternoon of February 25, the Global Poker League’s inaugural draft day was held for about four hours. Fans were able to watch poker players Daniel Negreanu and Phil Hellmuth talk about other players and tips on poker playing. When evening came, everyone in attendance entered the ballroom for an elegant dinner and the awards ceremony hosted by Kara Scott. 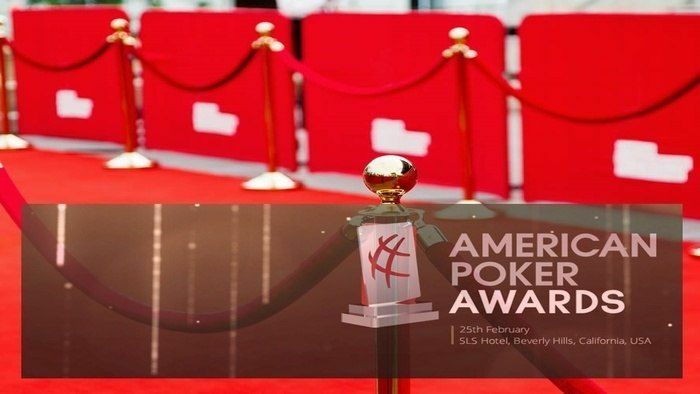 The American Poker Awards honors the best and the brightest individuals in the poker world. An independent voting jury researched and studied the list of nominees and placed their votes privately a day before the event. Several other awards were presented that evening. Two poker players received accolades for having the highest Global Poker Index world rankings in 2015. The person with the highest ranking overall was Byron Kaverman. Kaverman was given a trophy for his 2015 Player of the Year status. It will be exciting to see how he competes in the approaching poker events of 2016. Kelly Minkin was also honored as the Global Poker Index Female Player of the Year. She could be one of the top female poker stars to look out for in the coming tournaments. The jury also decided to give an award to Kevin Mathers (commonly known as Keymath). Keymath is popular for being the “information guy” – a person knows everything about live and online poker. From the simplest basics of poker to the freshest online poker bonus codes, this guy has got you covered. He’s also had various roles over the years as a moderator for forums. He received a special trophy and a standing ovation from the crowd for all of his contributions to the poker community. Lastly, a lifetime achievement award was given to Mike Sexton. He is known for being a poker ambassador – someone who consistently promotes the game and exhibits great passion for the industry. Many also know him as the host of the World Poker Tour since WPT’s inception. Sexton has more than $5.8 million in live tournament winnings, including one score of $1,109,333 when he reached the final table of the Big One for One Drop at the 2012 World Series of Poker. If you want to try your hand at this competitive tournament, then sign up for WSOP website!